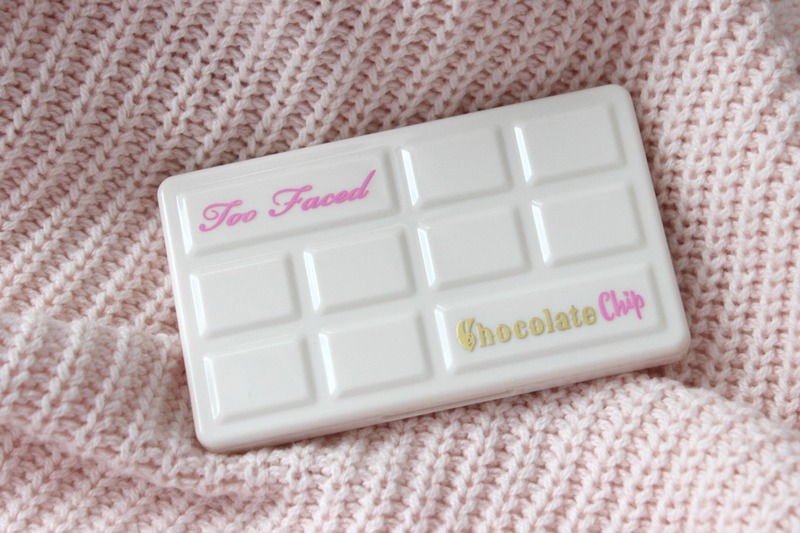 Getting the Too Faced Chocolate Chip palette was one heck of a challenge. I was online, waiting for the palette to come into stock. I added it to my cart, went to checkout and as I clicked "submit my order," I got a notice saying the item was out of stock. Determined to try this adorable palette, I had a friend of a friend order it to her US address, and then ship it all the way to #TheSix. 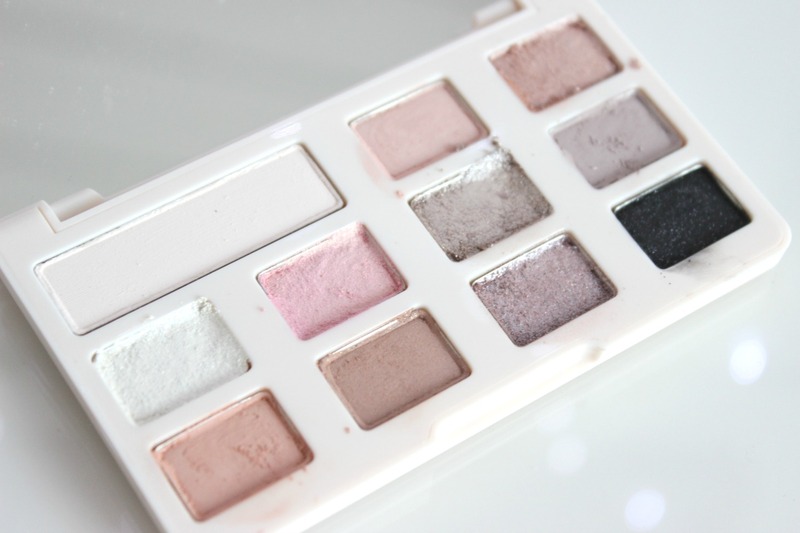 This little (and I mean little) palette has been on one heck of a journey. Keep reading to see if it's worth the effort (and price). 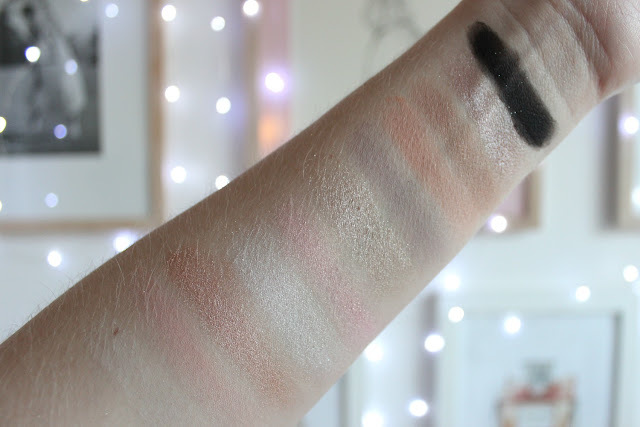 The colours are very pale, so I tried to dim the lighting when taking swatches so you could get a true idea of the colours. Because the colours are all so light, the black seems very out of place, in my opinion. 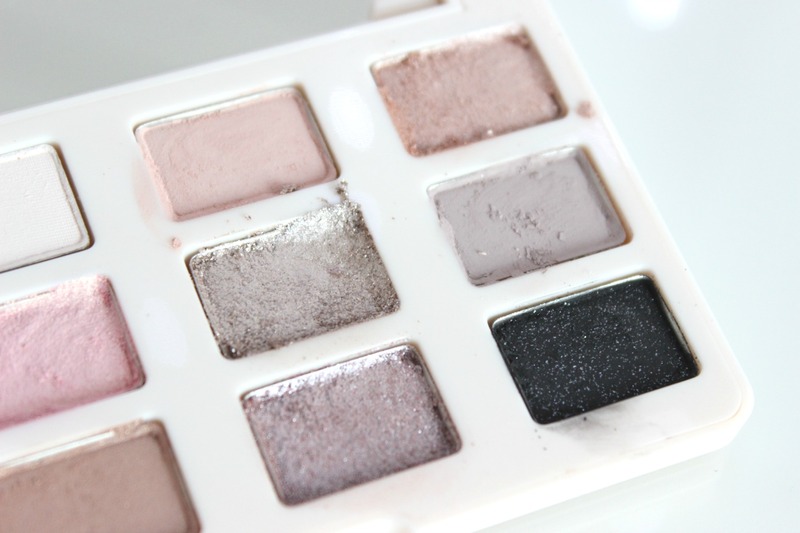 You have these beautifully delicate and soft shades, and then a very pigmented black with speckles of glitter running through. I think a deep purple or brown would have been more appropriate. In terms of pigmentation, I think they are lacking. I'm incredibly pale, and I'm hard pressed to get the shades to show up. Anyone who is paler than I am (a.k.a. 95 per cent of the population) would not benefit from this palette. 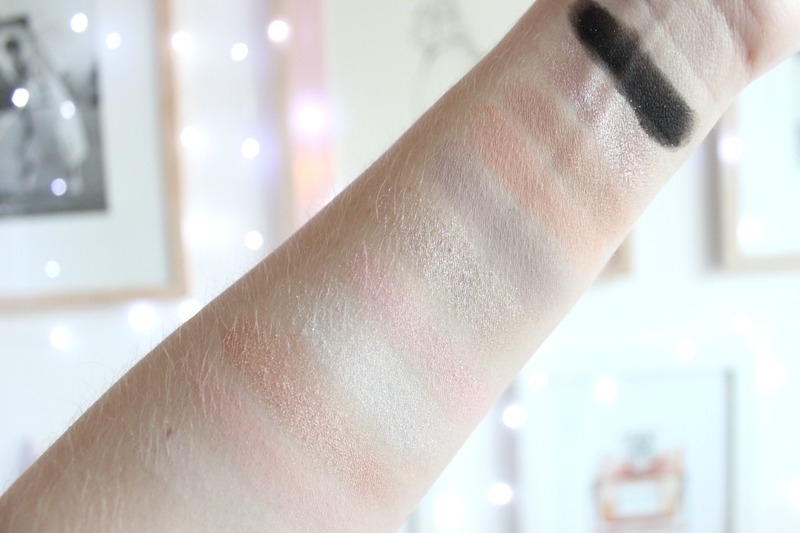 The shadows are an odd mix of chalky and buttery. They have quite a bit of kick-back and fall out, but are very creamy to the touch. 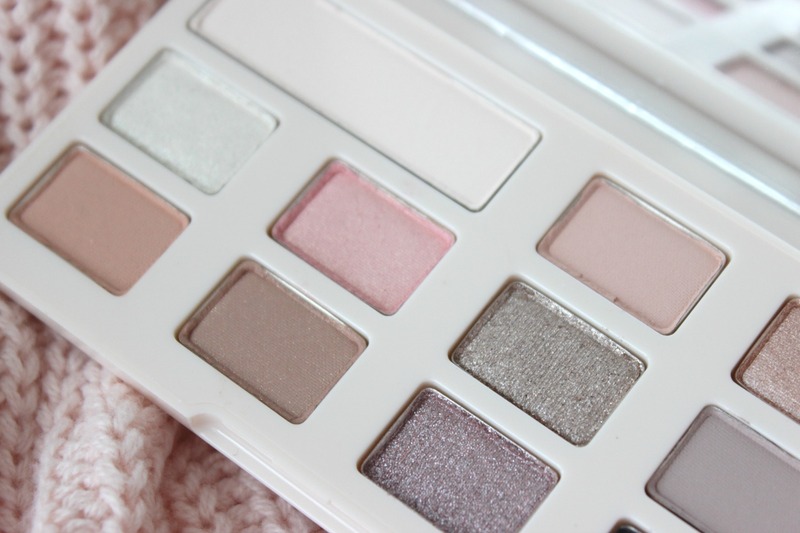 The formulation seems very different from the other Too Faced eyeshadow palettes I own. In terms of the colours, there isn't anything special about them. There are quite a few cool toned shadows, which I appreciate, as it's hard to find a versatile cool-toned palette, but they seemed a lot more vibrant in Jerrod Blandino's Instagram photo. 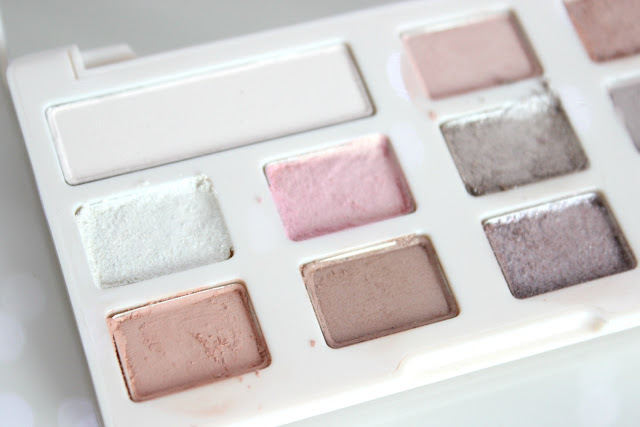 There is a nice mixture of mattes and shimmers in the palette, which is great for defining the crease. 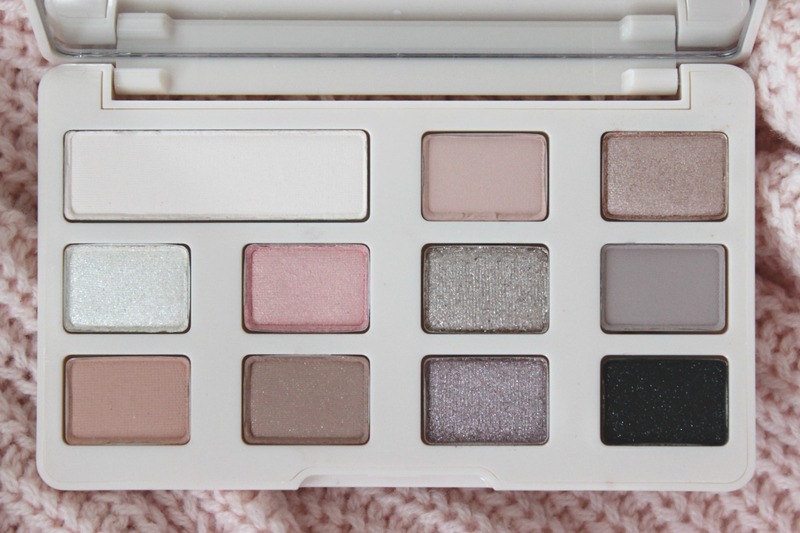 The main problem I have with this palette is THE SIZE. I know they say that size doesn't matter, but there is something to be said about having an 11 pan-palette smaller than an iPhone 5--for reference, the palette is as wide as my phone, but just over an inch shorter. That's hella tiny. And fitting a Mac 217 brush into the itty-bitty pans is a challenge and a half. Especially because there is kickback in the pan, I can imagine the colours starting to get muttled together in no time at all. 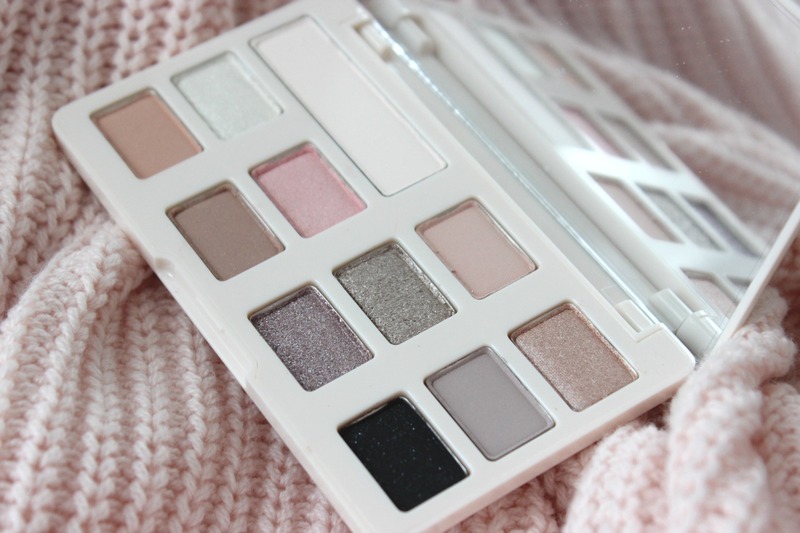 Overall, I don't hate the palette, and I'm going to continue to use it, especially after all the hassle I went through to get it, but it's not even close to being my favourite Too Faced palette. I would recommend saving your $$ and purchasing a full-sized chocolate palette instead.